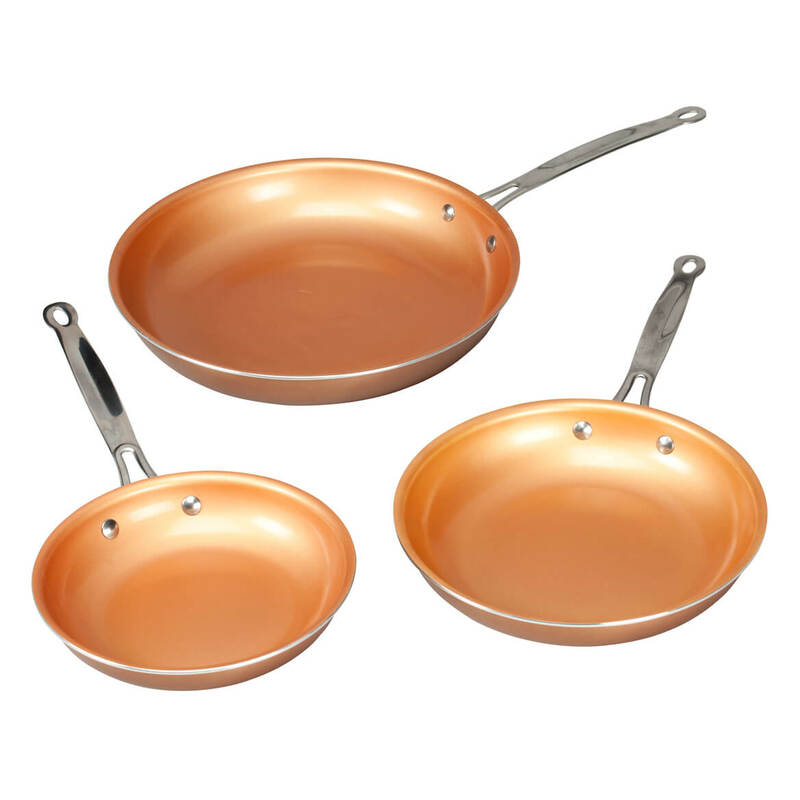 I am presently using copper pans and like them and need some pans in various sizes. These are the exact sizes I am looking for. Had one medium sized one before & like it.. I have been looking at no stick and this looked like a good deal. 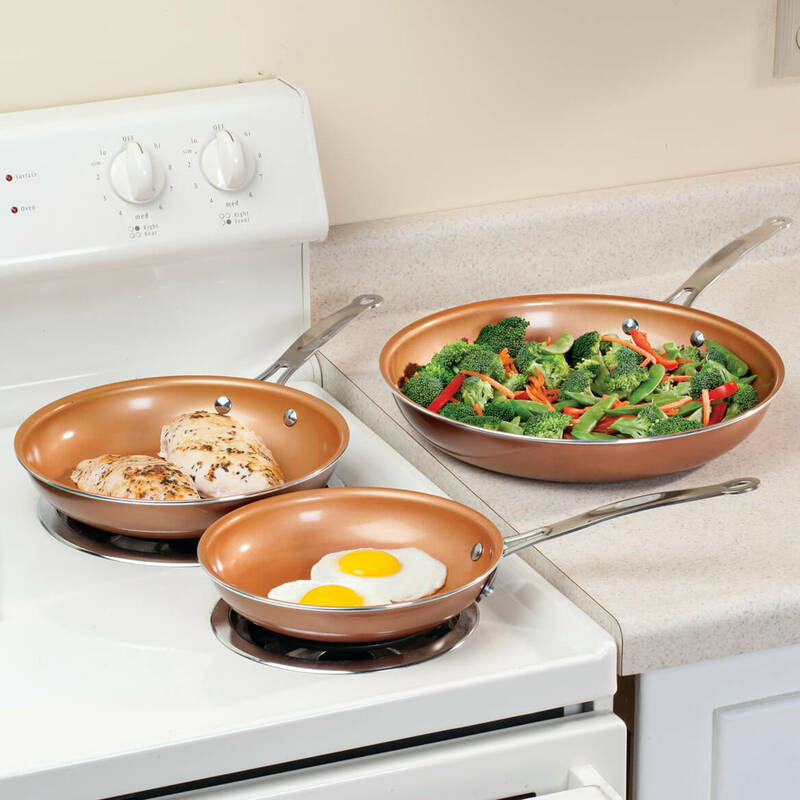 I read a review concerning these non stick items from wddrake that didn't sound to good, but I thought I would give them a try anyway. If I have the same problems, I'll send them back.